What do you get when you combine Cape Town’s favourite pop up dining experience with Robertson’s exquisite wines? One Ingredient and Arendsig wine farm have teamed up to bring you a one night only, dinner, bed & breakfast winter special on Saturday 13 August. Arendsig (Eagle’s View) is a privately owned farm with its own vineyards and boutique cellar situated in the foot hills of the Robertson Valley. Chef Matt will be serving up his popular One Ingredient Sweet Potato menu, each course paired with one of Arendsig’s handcrafted, single vineyard wines. And because we don’t want you to have to drive home after a decadent day of wining and dining , Arendsig will be putting guests up for the night in their simple, but comfortable chalets. Check in anytime between 2pm and 4pm. 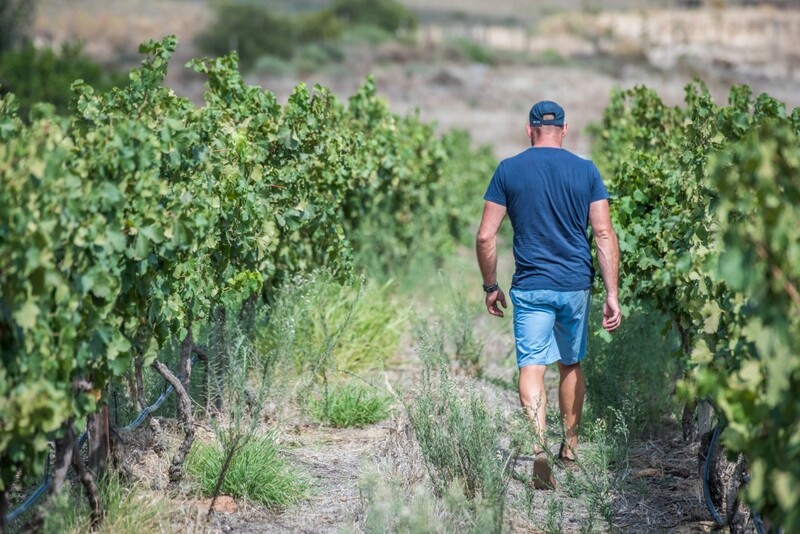 At 4pm we will meet Lourens up at the tasting room before heading down to the cellar for a special tour of the vineyard followed by a barrel tasting. At 6pm, guests will be led up to the dining room and greeted with canapés by Chef Matt, followed by a five course dinner. After dinner, guests are welcome to relax with a bottle of wine by the fire before retiring to their chambers. The next morning, Chef Matt will whip up a hearty breakfast which guests can enjoy while taking in the sweeping views before returning home, or spending a bit more time in the valley. What’s the rush? Includes unique barrel tasting and wine tour with winemaker Lourens Van Der Westhuizen, canapés and five course dinner, wine pairing, one nights accommodation and breakfast.